The C114 Phoenix by Howard Viele was introduced in 2008. 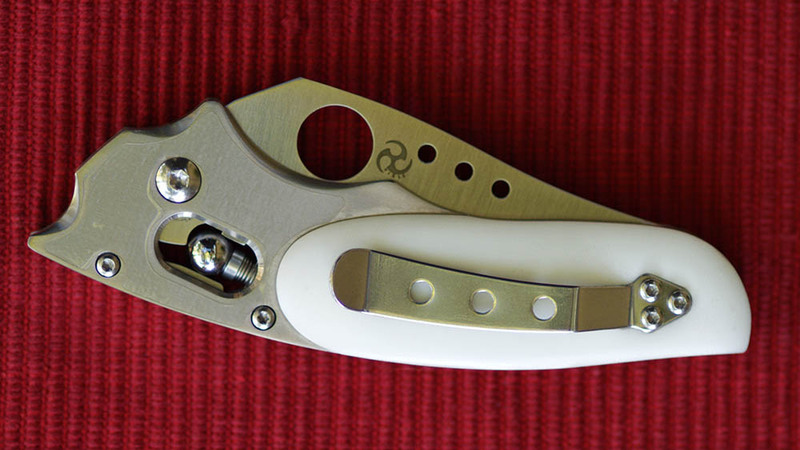 Phoenix review by "Mr Blonde" on the Spyderco forums. "Where’s Howard? Highly regarded custom knifemakers don’t disappear; they hibernate in their workshops and when they emerge they awe custom knife fans and buyers. 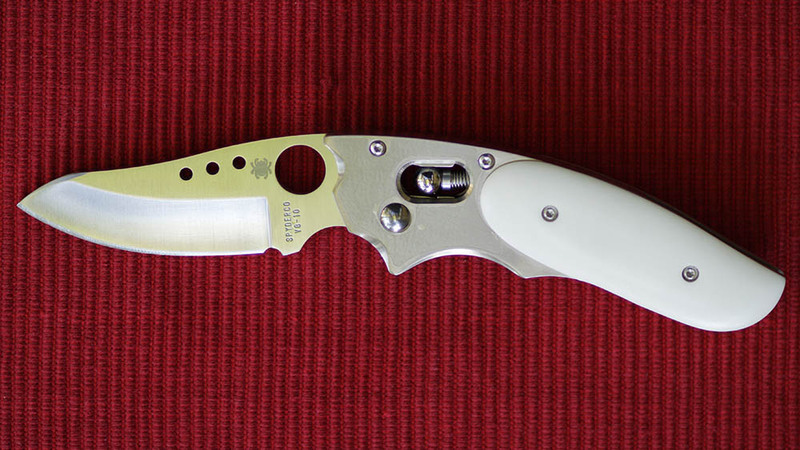 It’s been a while since Spyderco collaborated with knifemaker Howard Viele but his re-emergence will amaze. The C114 Phoenix has Howard Viele stamped all over it with a pinch of Spyderco thrown in. His folder features Spyderco’s Ball Bearing Lock™. The ball bearing used in the lock sits on two springs that push it forward above the blade’s tang and locking the blade open. High-tech yet simple, the round bearing rotates, rolling in its housing never wearing at exactly the same spot. It self adjusts as the knife is repeatedly opened and closed, minimizing wear and tear. In a world of custom knives, Viele’s designs feel like you’re looking at a friendly familiar face. You recognize the designer straight away, his knives are sleek and modern combining different steels and handle materials, coming off clean and fast looking- like they can fly. Phoenix fits the look with a curvy titanium handle that’s jacketed with a cream Micarta halfway up, covering from the lock to the handle’s edge. Two deep finger choils and ricasso flow from handle to blade. Howard’s personal signature is a symbol on the blade representing the Japanese God of War. It lines up with the functioning Spyderco Trademark Round Hole also taking up residence on the hollow-ground, PlainEdge VG-10 blade. Right-hand tip up clip complete the package." This page was last modified on 19 October 2013, at 20:46.